One of my favorite things about Mayanot is Shabbat. Prior to coming to study at Mayanot, I had never been in an environment where everyone was keeping Shabbat before. Sure I’ve been on a few Shabbatons (weekend trips), but it was nothing close to the experience of Shabbat at Mayanot. 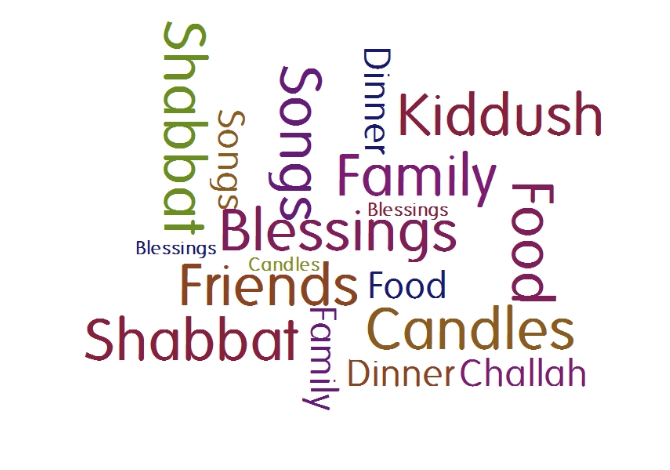 Shabbat at Mayanot is so particular because it is always such a special time. We have three types of Shabbats here; the first is In-Shabbats where we have all our meals at the school and a family comes to spend Shabbat with us, the second is In/Out-Shabbats where we are free to either do what we want or be set up with a host family, the third is a Shabbaton where we go on a trip and spend Shabbat somewhere else in Israel, as a group. On In-Shabbats we spend Friday getting Mayanot ready for us to eat, learn and hang out over Shabbat. By the time the sun is setting, we are dressed and ready for an inspiring weekend. We all light candles together in the Beit Midrash (Central classroom) and then either go to shul (synagogue) or to the Kotel (Western Wall) for Kabbalat Shabbat (a service welcoming Shabbat). 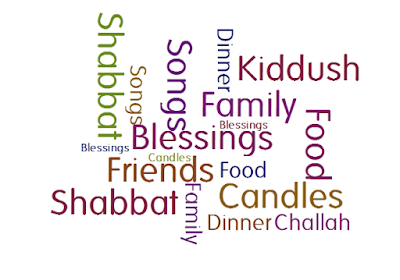 After Kabbalat Shabbat we come back ready for Kiddush (the Friday Night meal). One of the exciting things about In-Shabbats is that we bring in a host family who will spend the weekend with us. Sometimes it is the family of one of our teachers and other times it is a family with ties to Mayanot. For example, a few weeks ago, the family who stayed with us was an alumnus of the Mayanot Men’s Program. After a Kiddush filled with D’var Torahs (speeches on the weekly Torah portion) from different women in the program and singing nigunim (traditional songs), we end the night with a fabrengen (an informal gathering of inspiration and learning) with the host family. These are always a fan favorite. We bring out snacks and then learn about the parsha (the weekly Torah portion), chassidus (the teachings of the Baal Shem Tov and Chabad Rebbes) or from each other. Sometimes these gatherings will even run until 3am, if the women want it too! The next morning we have Chassidus and shul followed by another meal with our hosts. We end Shabbat singing our favorite nigunim on the roof of our building followed by Havadallah (the prayer that ends Shabbat). The thing that is so incredible about In-Shabbat is that we are really given a chance to bond and get to know one another. We spend the entire weekend together and have a chance to make Shabbat in our own “home”. It is so remarkable to hear everyone’s story or to see someone give their first D’var Torah. The second type of Shabbat we have here are In/Out-Shabbats. During these Shabbats we can either set up our own meals or we are paired with host families in Jerusalem. I love these Shabbats because you get to meet so many different families and have so many different experiences and see how they all incorporate Judaism into their homes. My first weekend here; I was paired with the Schloss family in the Old City. This meant that my first Kabbalat Shabbat in Jerusalem was at the Kotel, which was an unbelievable experience. After that, we found the house tucked away about a block away from the Kotel. I remember going up on to the roof and being able to see the Kotel; I was really in Jerusalem! I couldn’t believe I was actually set up at a family in the Old City. More importantly, the family was amazing. It was a Rabbi and his wife who hosted guests and travelers from all over the world. They were so warm and welcoming that they made it so easy to feel at home. Honestly, no matter where I have been placed in Jerusalem, it has been a great experience, I have met so many amazing host families and it is an experience I know I wouldn’t have had without the help of Mayanot. Not only do they find amazing families to host the women in the program, they also pair you with people in the program you weren’t that close with before. 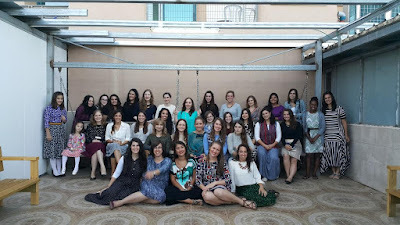 The administration at Mayanot really tries to give all the women an opportunity to meet and spend some time together, its truly unique, how much effort they put into the group. It becomes such a great way to bond with the other women in the program and is such a special experience! The third type of Shabbat, I’ve had here is a Shabbaton. Last weekend, I was lucky enough to go to Tzfat with the rest of the Mayanot Women’s program. Early Thursday morning we loaded onto the bus for a jam packed inspirational Shabbaton in one of the (other) holiest Jewish cities. Thursday and Friday were filled with exciting hikes, inspirational trips to Meron, an ancient synagogue and the Old City of Tzfat and a delicious BBQ. Even before Shabbat had started, we had already had an amazing weekend. For our Shabbaton we were lucky enough to go with the Gestetner family, who are directors of Mayanot. We lit candles and held our own Kabbalat Shabbat followed by a delicious Kiddush and Fabrengen with Rivka Marga and Rabbi Shlomo Gestetner. Saturday afternoon we went on a walking tour of the Old City of Tzfat,led by Aidel Margolin. It was wonderful to be able to really seeTzfat, with so much amazing insight intot the history and culture of the city. Also, seeing different groups walking or davening (praying) in shuls and on rooftops, was so beautiful. Our tour ended at Ascent of Tzfat where we got to experience a moving Havdallah ceremony. Overall, we saw more than I ever could have imagined and had an amazing time. Shabbat at Mayanot is always exciting! Whether we are with host families or all together, it is always a time I look forward to. Whether we are wandering through Tzfat or laughing in our Beit Midrash, Shabbat is such an exceptional time for bonding and learning. It is almost like we are in a little bubble, outside of time, until the city wakes up, after sundown, and that is pretty extraordinary!